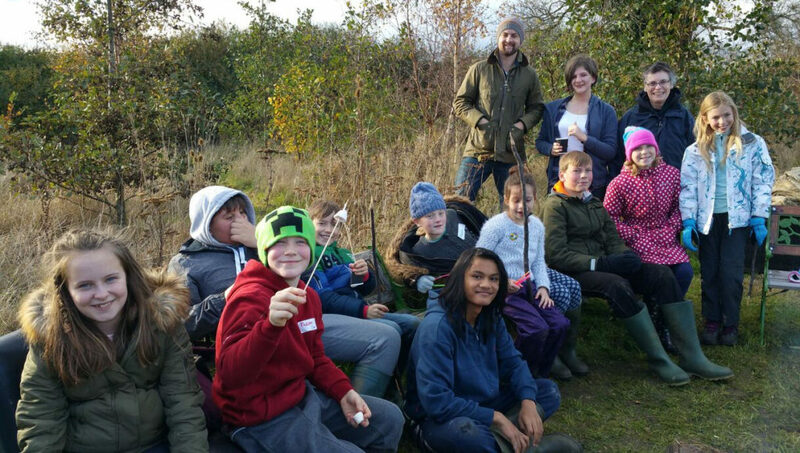 Young leaders from Peterborough Diocese, aged between 11 and 14, started an adventure by getting on a mini-bus at All Saints Clipson on 5 November. 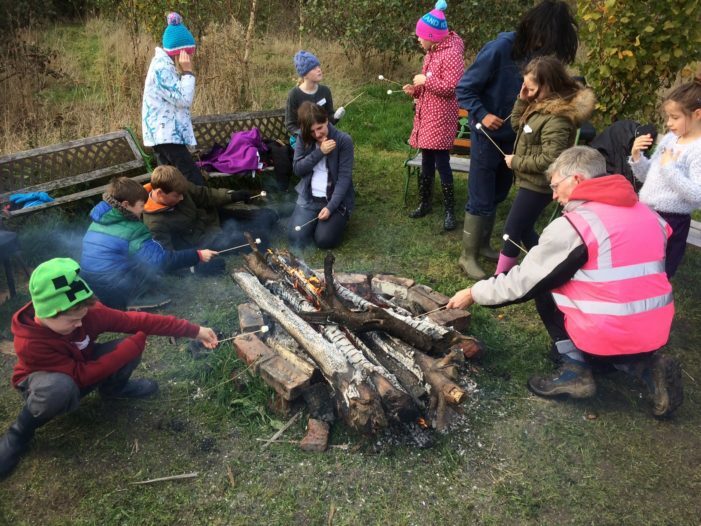 The beginning of their venture was travel to Midshires Covert for a fire themed day with games, sharing, learning and walking together. There was a bonfire, a wide game ‘Capture the Flag’ and a chance to talk about faith. At one point they went on a walk through the woods and in a tunnel. 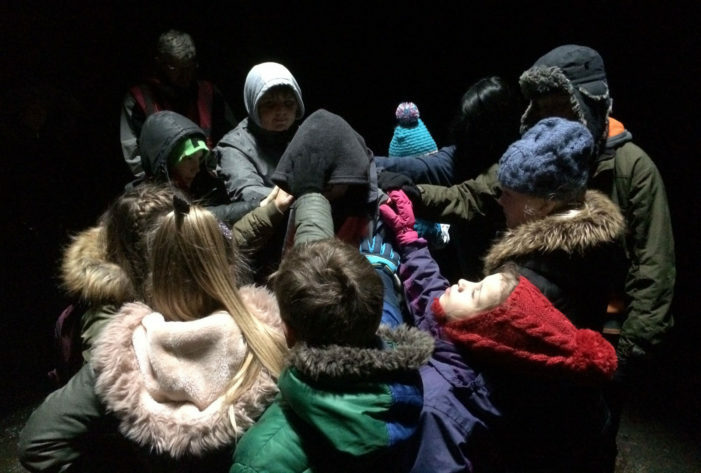 Becky Wills, Archdeaconry Youth Missioner for Northampton, said: “It was very dark on the way there through a disused railway tunnel. You could see the light at the end of the tunnel, but all around you it was very dark. There were eight churches all across the diocese that sent their Junior inspire leaders. The young people are selected by each of their churches. Becky explained that usually they were doing something at their church, such as helping out in the welcome team, working in Messy Church or making coffee. This was important as it was the first step of a leadership track: Junior Inspire, Inspire, Internship was a possibility then, and then possibly ending up in ordination. Junior Inspire came about because of the Inspire programme that Pete White, the Diocesan Youth Officer, has been running for a number of years for 14 – 18 year olds. Becky explained: “We discovered that there were quite a lot of churches that didn’t have many or any young people over the age of 14 – but they had tweenagers (between the ages of 10-14). Those children were in the situation that they were outgrowing children’s work. These young people were often asked to help out in church, and so were already leaders. We thought rather than wait until they were 14 to join Insipire, it would be better to “Inspire” them now. The Missioners worked with Rona Orme, Children’s Missioner, because it spanned the age group she works with as well. Junior Inspire days happen three times a year. For more information, contact the youth missioners Becky Wills or Chad Chadwick by email or telephone 01604 887000.